The PlayLink collection of titles on PS4 has certainly come a long way. What started as a few party games has ballooned into a respectable selection of titles for all kinds of game nights. The brilliance of it all is the fact that everyone can join in by playing on their smartphones. 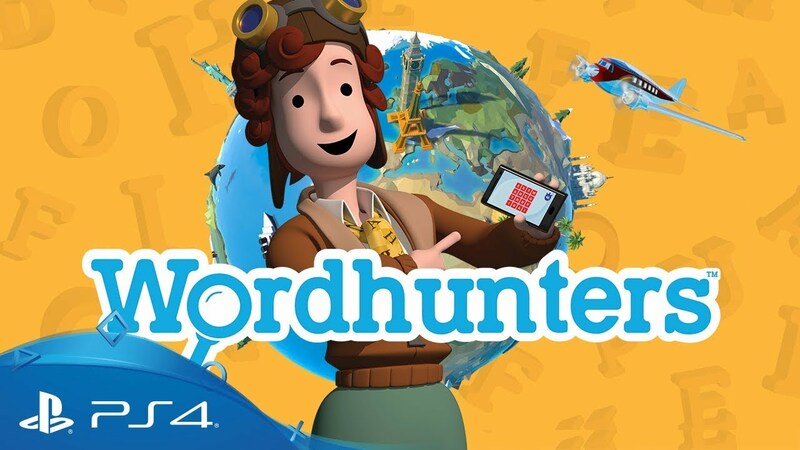 Wordhunters stands out from the crowd by offering a new experience focused on language-based minigames. Should you grab some friends and see who uses their words the best? Let’s find out. Wordhunters supports up to six players and features a globe-spanning selection of locations around the world. Like many other Playlink titles, you’ll each choose a name for yourself and snap a selfie (which is featured in the plane windows as you travel to each new location). At the beginning of each game, every player is assigned a secret word. That they must complete before anyone else to win. The victor of each game is allowed to choose one letter from the destination to use in the completion of their secret word. If you’re in Madrid, for example, you can use any of those letters in the event that you win the minigame. If the location doesn’t have any of your letters in the name, you move on to the next round empty-handed. While that may seem like a bummer, it also keeps the competition from adding to their secret word, so the balance is there. As you board the plane between minigames, you also have access to cards that you can play to redirect the flight to a specific destination or sometimes have the opportunity to choose two letters in the event that you win the next game. The minigames themselves have a nice variety. There are crossword puzzles, anagrams, and plenty of unique twists such as one where everyone guesses if a word is real or fake. The games move by at a nice pace, but the overall length of any given game can drag on. For example, in one play sessions with six people, there was a clear winner. She had all but one letter of her secret word, which she told the group. Despite this, we played numerous minigames in various locations, none of which had the last letter she needed. While this is an exception, not a rule, the secret word mechanic itself tends to make the game last longer than it should. As a result, nobody wanted to play more than a round or two before moving on to something else. Even so, the mechanic is interesting, and the experience as a whole is pretty unique. If there was an option to make the rounds shorter, or switch to a point-based system, that would have helped with the overly long game length. Wordhunters has a beautiful art style that creates miniature versions of the real world locations you visit. Bright colors and a splash of detail in the animated backgrounds make for The host herself is friendly, and I particularly enjoyed her jokes, despite the fact that they made eyes roll around the room. For those who enjoy word games, Wordhunters is a great way to have fun with up to six other players. While games tend to last longer than I would have liked, there’s no denying that this is a unique and fun addition to the PlayLink lineup.